PSP games are one of the most fun thrilling and adventurous game to play. With that aid of PPSSPP, you can play PSP games on your Android phone for free. It's fast and reliable but it is best advicable to be used on phones with 1GB RAM and above for better performance. Today I will share a free PSP game called assassin's creed bloodline. 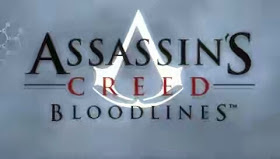 Assassin's Creed Bloodline is an exclusive PSP entry in the popular Assassin's Creed franchise, which follows covert assassins at crucial junctions in history. 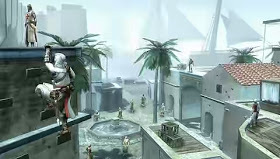 This game bridges the story gaps between Assassin's Creed 1 and 2, focusing again on Altair in a storyline set shortly after the events of the first game. Here, the bloodlines that tie these characters are drawn as Altair tracks the remaining Templars to the island of Cyprus.